The Bone Witch was a beautifully diverse book, with moments of beauty and moments of horror. The Bone Witch is definitely one of my favourite reads of this year. It was my cup of Tea. (I’ll stop with the puns… maybe) Perhaps, not enough to beat Strange the Dreamer but it still ranks very high! 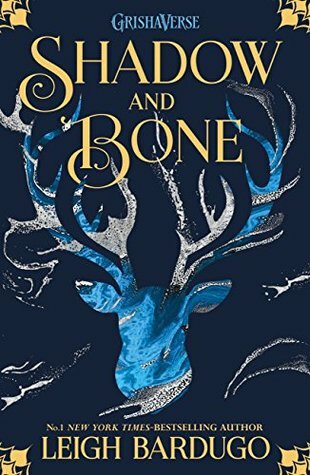 Exploring the story of The Bone Witch along with its world and the Eight Kingdoms was delightful and impressive. The diverse elements of world-building were clearly shown which WAS EXCELLENT and seeing these diverse elements integrated into the society so well had me in awe. The prose was captivating, it clung to me and didn’t let me go. Also the ending??? It was just ??? unexpected but glorious. The plot lured me in and then went for the kill. The book does have a slow pace to begin with. Usually, I hate slow paced books but this one was different. (I know, I’ve changed! Blame near-adulthood.) Tea discovers she is a witch, but rather than being like the rest of the family, she’s a dark asha or NECROMANCER. Reading about Necromancy in this book was extremely delightful because I don’t see many books with necromancy in them so it was a treat reading Tea’s story. She brings her dead brother, Fox back to life and from there, her journey begins. I did find that the book did overload descriptions at points which made me lose track of the story, but it didn’t bore me. The descriptions helped create a vivid image of the world and it seemed beautiful in my head. Plus, the close bond between Fox and Tea definitely made me think of the relationship between my little sister and I. The relationship between them felt believable and natural, they teased each other and protected each other when necessary. The plot spans a few years through Tea training to become a full asha and it was lovely to see the different people that Tea met along the way. It’s also interesting to see Tea in the other perspective which is in the future and how Present Tea contrasts with Past Tea. Did it make it an intriguing mystery of the questions, how and why? Yes it did. Then perhaps we should carve a world one day where the strength lies in who you are, rather than in what they expect you to be. Diversity all around this fantastic world! From reading about the different hua to the culture of the Asha, there was so much diversity presented in The Bone Witch. There was even an example of someone breaking gender-norms in the society too with Likh who is like my book-child in this. The influences definitely come from Asia and it was lovely learning about the world and it’s dangers. The magic presented in The Bone Witch is definitely something else worth noting because it’s complex but beautifully implemented. I’ve boiled down the magic in The Bone Witch to two parts, Runes and Heartsglasses. Necromancy is done through Dark Runes which are exclusive to Dark Asha, which is what Tea is! The magic system was built well, and the drawbacks are presented clearly through the novel, showing that no one can be too powerful. Never give your heartglass away to anyone. Anyone else versed in magic can do you harm with it. People will never be what you make of them, but at least your own heart stays yours and true. I mean, there are creatures called daeva (demons) that have to be resurrected and killed for special ingredients? There are different types of Asha and let’s not begin with the hidden political tensions between countries. There’s so much potential for this series that I can’t wait to see where it goes. Can you sense my excitement? Overall, The Bone Witch receives four stars for its lovely character, plot and world building. Though the pacing is slow at points and descriptions did go over. I didn’t feel like I need a paragraph for every outfit entering the scene. But, I can’t wait for The Heart Forger, the sequel to The Bone Witch! Have you read The Bone Witch? What did you think? Let’s have a discussion about it! If you haven’t read it, is it now on your TBR? I just read this like a month ago! The cover lured me in (and really, how could it not?). It was a little slow for my taste—I was expecting a lot more necromantastical (that's a word now) action—but I loooooved the multicultural city. Also, "there's nothing scones and crumpets about you" is my new go-to insult for everything. (Oh it's totally a word!) I totally agree with you, it was definitely slow and I did expect a bit more necromancy but I'm hoping that's what the sequel might deliver. That insult was everything to me, haha!